Dealing with a sewer line issue is never fun. It can be messy and smell bad, and you want to fix the problem as soon as possible. That’s why it makes sense to call JD’s Plumbing Service at the first hint of a sewer issue. We handle it all, from sewer line cleaning to sewer line repair. We even offer trenchless sewer line repair for our Thornton customers. Time is of the essence, so contact us immediately and we will get to work to help you with your sewer issue. When you bought your home in Thornton, your sewer line was the furthest thing from your mind. You thought in terms of square footage and the number of bedrooms. You also gave some thought to your lawn and maybe even the neighbors. You didn’t think about the sewer line, though. Now, you think you might have a problem, so it’s on your mind. If you have any of these signs, it’s time to give us a call. First, think back to the last time you washed your hands or took a shower. Did the water back up? That’s a sign of a sewer problem. You likely have a clog and need a professional to come out and fix it. You might feel the urge to dump some drain cleaner down the sink or shower, but that would be a mistake. You need professional help. Gurgling is also a sign. If it sounds like your drains are talking to you, something is going on and you need our help. You might even notice a foul smell in your house. When the sewer system stops working properly, it can back up into your house and cause your entire home to smell. Standing sewage is another sign, and it’s a big one. You have to take care of this problem quickly, as it’s a health hazard. Make sure your family stays away from the mess and contact us immediately. Our Thornton sewer line repair team will be out to your home in no time. When we come out to your Thornton home, we will get right to work. We will begin by assessing the situation. We need to investigate the problem to ensure we know exactly what is going on. Clogged sewer lines are a common issue. Maybe you threw some grease down the sink and it hardened, making it impossible for anything else to flow through the lines. Your toddler might have even flushed a toy down the toilet, clogging up the line. Sometimes, it’s an issue with cracked or broken pipes. It gets awfully cold in Thornton during the winter, and that can cause problems with your pipes. Your pipes can also break if the soil shifts. 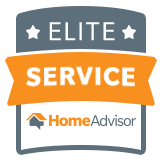 We are experienced in diagnosing and fixing a multitude of problems, so regardless of what’s going on at your home, we are here to help. When it comes time to fix the issue, we will explore your options with you. In many cases, we can use our pipe bursting trenchless sewer line repair method. This innovative option allows us to access the pipes below the ground without digging a trench. Instead, we dig small access holes on either side of the sewer line. Using those holes, we destroy the old pipe and place the new one. Our customers prefer this method since it is affordable and doesn’t damage their landscape. Sometimes, we do have to use the trench method. This is the case when the damage is extensive. We will go over a plan with you to limit the costs and the landscaping damage if we have to go this route. You don’t want to wait any longer to get your sewer line repaired. Contact us so you can get an estimate on the work today. We will figure out what is going on and let you know what is needed to fix it. Then, you can decide if you want to move forward with JD’s Plumbing Service.